This rough antique-looking yet smooth 3×5 3/4″ subway tile backsplash speaks loudly without the use of words. 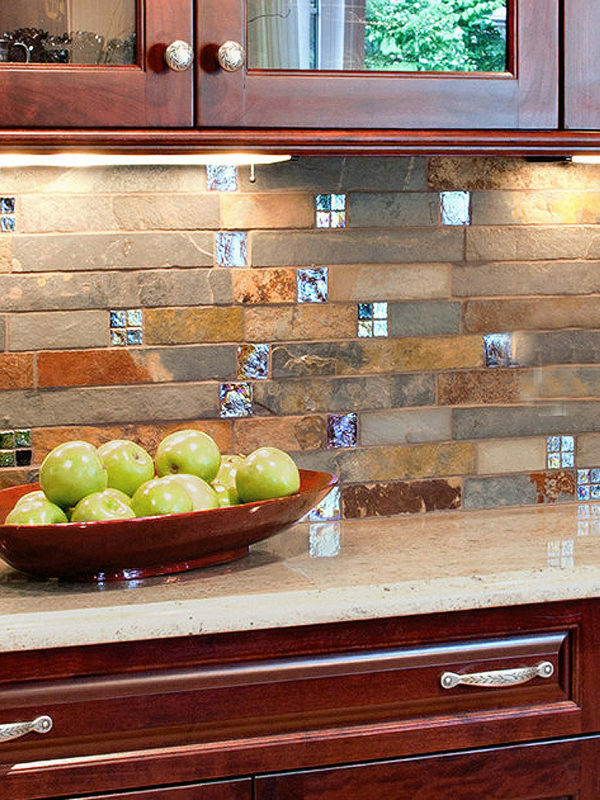 With a quartzite slate stone base, the shiny effects make it glorious and ideal for any kitchen whose owner is not afraid to be imaginative and daring. It works wonderfully well with the brown kitchen cabinets that are at home with the brown or gold-hued granite countertop. The design comes out well when the natural stone is sealed. This entry was posted in BROWN, GLOSSY, GRAY, GREEN, SLATE, SUBWAY, TUMBLED HONED. Bookmark the permalink.